Canadian Geographic‘s new issue has an online article by Nick Walker, “Crowdsourcing bird science: Canada’s birdwatchers are making big contributions to science research and conservation”, all about Bird Studies Canada‘s many citizen science programs; read the article here. every year boast the eager participation of more than 30,000 Canadian birders — mostly regular civilians, not ornithologists or biologists like [BSC biologist and science educator Jody] Allair. They’re the ones gathering the bulk of the data that’s essential to the “real” scientists, and to organizations that make official decisions about which species should be declared threatened or endangered, which land should be designated as conservation areas. One of the programs included in the article is the Young Ornithologists’ Workshop, which Nick interviewed me about last week just after I returned from Long Point. I’m very happy to be part of the article and also BSC’s programs, since I’m a big supporter of all of their important work in this country. Project FeederWatch, which is detailed in the article, is what really turned me from a kid sort of interested in birds into a birder — a program my mother thought would be a nice add-on for my science studies turned into a wonderful opportunity to observe more, and learn more, from the many birds visiting our yard between November and April, and helped me see how interesting birds really are. :: A look at this summer’s mystery of the paralyzed ravens and crows in B.C. 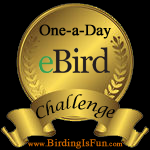 This entry was posted in Bird Conservation, Birding Interviews, Canada Birds and tagged Bird Studies Canada, Long Point Bird Observatory. Bookmark the permalink.